The University of Reading has been awarded a prestigious grant to lead an international network investigating the changing nature of literary manuscript culture in a global context. The migration of authors and the dispersal of their papers amongst collectors, families, publishing businesses and archives in different countries is an issue that demands serious attention. Researchers across four disciplines in the School of Languages and Literature have developed an International Network to investigate issues and practices relating to the location, ownership and interpretation of literary archives. Funded by the Leverhulme Trust for three years, Reading will be working with the Beinecke Rare Book and Manuscript Library, Yale University; the University of Trinidad and Tobago; the Centro di Ricerca sulla Tradizione Manoscritta di Autori Moderni e Contemporanei at the University of Pavia; the Institut Memoires de l’Edition Contemporaine in France and the National Library and Archive Service of Namibia. 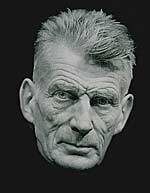 The aim of the network is to promote international collaboration in the preservation of and access to literary archives, such as the Samuel Beckett collections held at Reading, Dublin, Austin and Pavia. It will also address the development and gatekeeping of national literatures from the perspective of a variety of stakeholders. At Reading, a team of five will co-ordinate and manage the network – Dr David Sutton from the Library, Dr Alison Donnell and Dr Andrew Nash from the Department of English Language and Literature, Dr Daniela La Penna and Dr Sophie Heywood from the Department of Modern Languages. Five workshops will be held across the three years in the different partner countries, to showcase notable archives and assess changes in technology, law and policy. The network will also produce an international online location register.